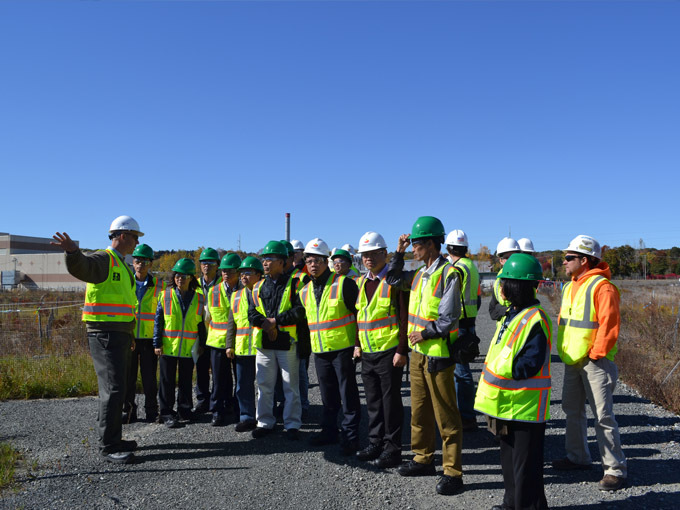 Members of the North Haven Citizens' Advisory Panel and other key stakeholders were invited to a site tour and reception on October 1, 2016. 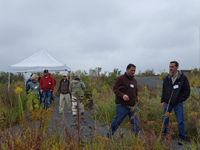 Community members toured the ecological restoration area at the October 1, 2016 event. 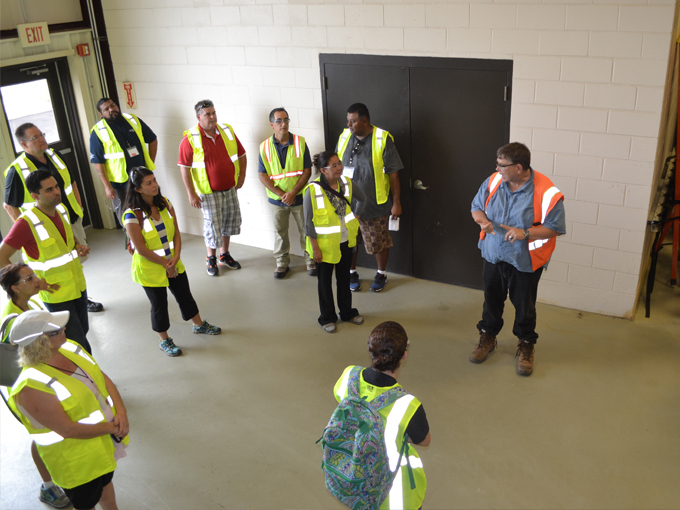 In August 2016, the Pharmacia & Upjohn team hosted a group of Tribal Environmental Professionals interested in learning about the corrective measures implemented at the site. 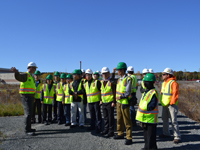 In October 2015, a delegation from Vietnam visited to the site to learn about the in-situ thermal remediation process. 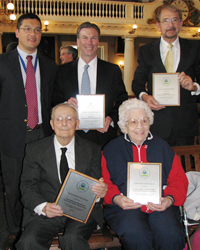 Pictured at the 2011 Environmental Merit Award ceremony in Boston are James Chow, Section Chief, USEPA Region 1; Dave Monz, CAP Chair, Tom Roberts (standing), and Rico and Annette Gattilia (seated). Not pictured are Miriam Brody and Hugh Davis. Pfizer is committed to an inclusive stakeholder engagement process. Since acquiring Pharmacia & Upjohn Company LLC and the property through its acquisition of Pharmacia Corporation in 2003, Pfizer has consistently engaged federal, state and local stakeholders. Under the guidance of USEPA, Pfizer developed a Community Relations Plan (CRP) as a guide to sharing information and obtaining public input during the corrective measures implementation phase of the project. The outreach tools outlined in the CRP will ensure a transparent and accessible process and meaningful community stakeholder participation. In 1995, the North Haven First Selectman established the Citizens' Advisory Panel (CAP) as a conduit to the community for information regarding the environmental investigation and remediation of the Upjohn property. Since 2003, Pfizer has met with the CAP on numerous occasions and have hosted CAP members at the site. Input and feedback obtained from the CAP was instrumental in the corrective measures process and helped shape the approved remedy and future vision for the property. 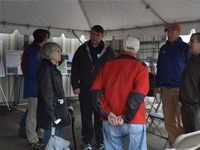 The CAP, representing a broad cross-section of the community, has maintained consistent membership through multiple town administrations in order to provide Pfizer, USEPA, CTDEEP and in particular, the local community, with solid input and feedback based on the concerns of the stakeholders. 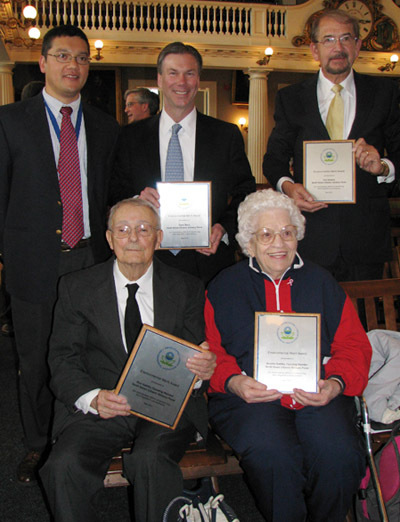 The founding members of the North Haven Citizens' Advisory Panel were honored with the prestigious 2011 USEPA Environmental Merit Award for their long-term commitment and outstanding efforts on this project. The entire CAP was honored by the Town of North Haven on June 2, 2011 with a proclamation recognizing their service. It is with heavy hearts that we recognize the passing of Annette Gattilia, a founding member of the North Haven Citizens' Advisory Panel (CAP). Annette represented North Haven on the CAP for nearly 20 years as a community advocate and a steward of the environment. She, along with the other founding members of the CAP, was honored with the prestigious 2011 USEPA Environmental Merit Award for her long-term commitment and outstanding efforts on this site. In 1979, Annette first raised concerns about the conditions at the Upjohn site. Her consistent efforts in raising public awareness, in part, led to the site investigation and ultimately corrective measures at the site. For 35 years, Annette remained steadfast in her commitment to North Haven and the Quinnipiac River region. In February 2014, Annette and her husband Rico, were recognized by the Quinnipiac River Watershed Association (QRWA) for their efforts along the Quinnipiac River. The Gattilia Family Library at QRWA headquarters is a tribute to their dedication and resolve. Those of us who have been privileged to work beside Annette are grateful for all her contributions. The remedy and restoration of Pharmacia & Upjohn Company site is a part of her legacy. A broad stakeholder engagement process was implemented throughout the site investigation, reuse planning and corrective measures processes. 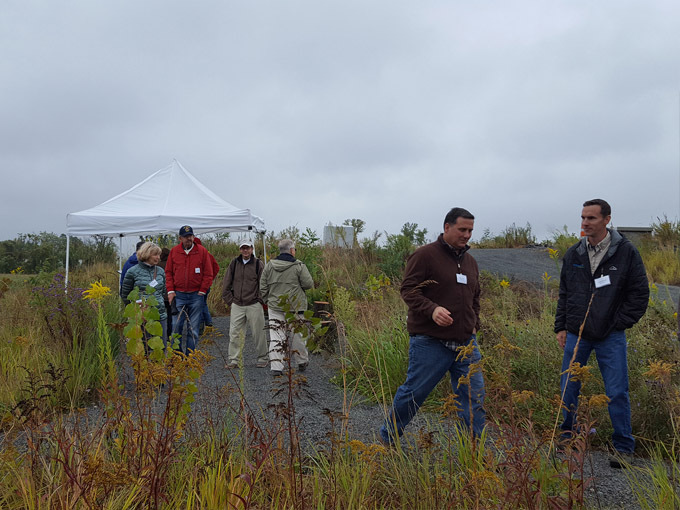 Pfizer and its consultants worked with community representatives and environmental groups to establish key objectives for the remediation and future use of the property. 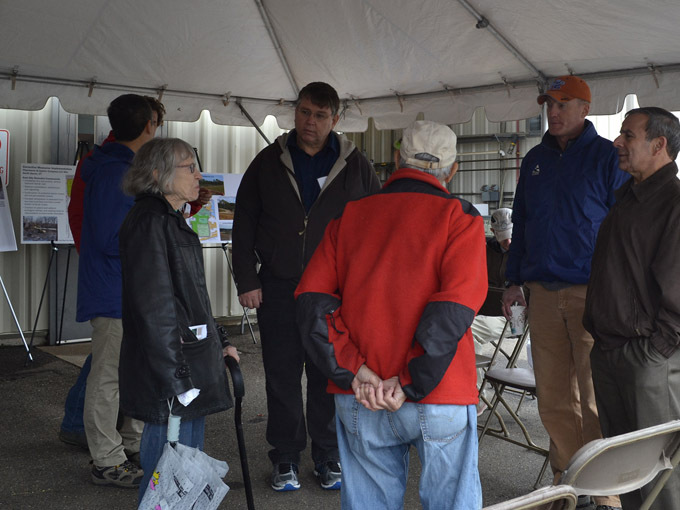 These groups included the Quinnipiac River Watershed Association (QRWA), North Haven Land Trust, Regional Growth Partnership, North Haven Trail Association, and numerous town boards and commissions. Informed stakeholder engagement will continue throughout the design, permitting, construction and redevelopment phases of the project. Pfizer and its consultants are committed to returning benefit to the community. While the approved remedy calls for very specialized technologies, all contractors have committed to purchasing from local vendors and suppliers whenever possible. Companies interested in learning more about this program should complete and submit the Contact Us form. As Pfizer worked to understand the community's preferences in redevelopment, the team implemented a stakeholder-driven reuse planning process which included market analysis, feasibility planning, and stakeholder interviews with the real estate community, economic development leaders, Town boards and commissions, the CAP, and many other stakeholders. This process included presentations and discussions with hundreds of stakeholders. As the concept of an "ecological preserve" began to take shape, Pfizer worked closely with environmental stakeholders including the QRWA, North Haven Land Trust, Yale University and University of New Haven experts on the Quinnipiac, as well as expert consultants in ecological restoration and interpretive planning. Pfizer will continue to work with these stakeholders throughout the process. 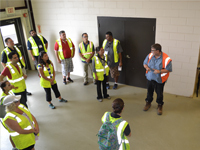 During the Corrective Measures Study (CMS) phase, Pfizer and its consultants held a series of presentations with community groups throughout North Haven in preparation for the public notice of the proposed remedy. These presentations employed a video, which explained the remedy and redevelopment in detail. Pfizer technical representatives and consultants were present at each presentation to fully answer the community's questions. Pfizer will continue to work with the community through the design, permitting, construction and redevelopment phases.